VISITING NEW ZEALAND IN JUNE 2019. 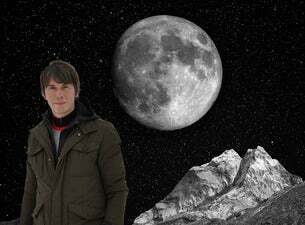 Beginning in the UK in February, North America in April and May, Professor Brian Cox then lands in New Zealand in June 2019. Brian is Professor of Particle Physics at The University of Manchester, The Royal Society Professor for Public Engagement in Science and a Fellow of the Royal Society. As a broadcaster, he has presented a number of highly acclaimed science programmes for the BBC, boosting the popularity of subjects such as astronomy and physics and garnering a host of accolades, including two Royal Television Society awards and a Peabody Award for Wonders of The Solar System. He has also authored a series of best-selling books, including the widely acclaimed Human Universe and the recently released Universal: A Guide to the Cosmos, and is recognised as the foremost communicator for all things scientific. His critically acclaimed BBC series, Forces of Nature, aired in 2016.